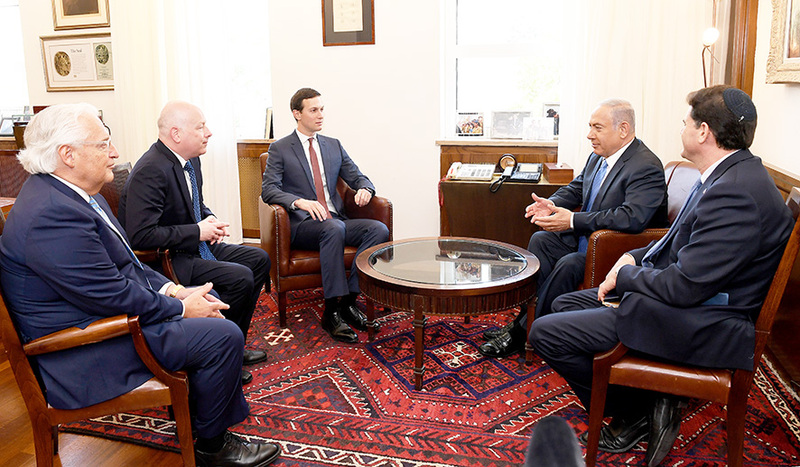 Kushner and Greenblatt are expected to hold meetings with foreign European and Gulf State officials regarding the Trump administration’s forthcoming Israeli-Palestinian peace plan. Among the foreign officials in attendance at the conference will be Prime Minister Binyamin Netanyahu and the foreign ministers of Saudi Arabia, the UAE, Bahrain, Oman and Jordan. Netanyahu is expected to meet with Kushner and Greenblatt. Palestinian and Iranian representatives were not invited to the conference. An Iranian Foreign Ministry official told Poland‘s charge d’affaires in Tehran that Iran saw the decision to host the meeting as a “hostile act against Iran” and warned that Tehran could reciprocate. “The international community has the right to discuss various regional and global problems,” the Polish Foreign Ministry said, adding that Poland has the right to co-host a conference that aims to develop a platform for action for the stability and prosperity of the Middle East. Kushner is expected to participate in one of the sessions of the conference. It’s still unclear how much, if anything, he will reveal about the U.S. Middle East peace plan during the conference. The plan has been in the works for the last two years but won’t be launched before the April 9 elections in Israel. Relations between Tehran and Washington are highly fraught after the decision in May by President Donald Trump to withdraw from a 2015 nuclear deal between Iran and world powers and to reimpose sanctions, including on Iran‘s oil sector.